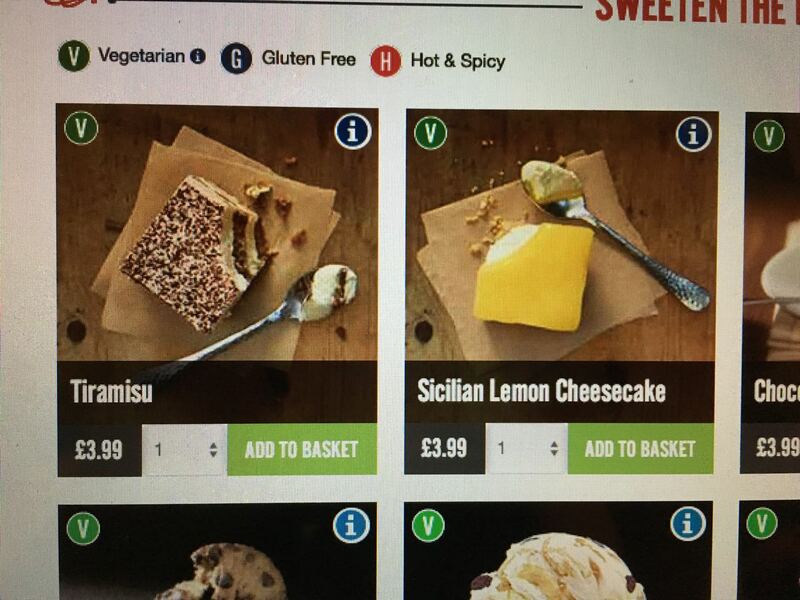 Dominos has updated their menu with a selection of Italian themed pizzas. I know pizza is Italian, but many of Dominos pizzas always seem to be American style, rather than the more traditional Italian. 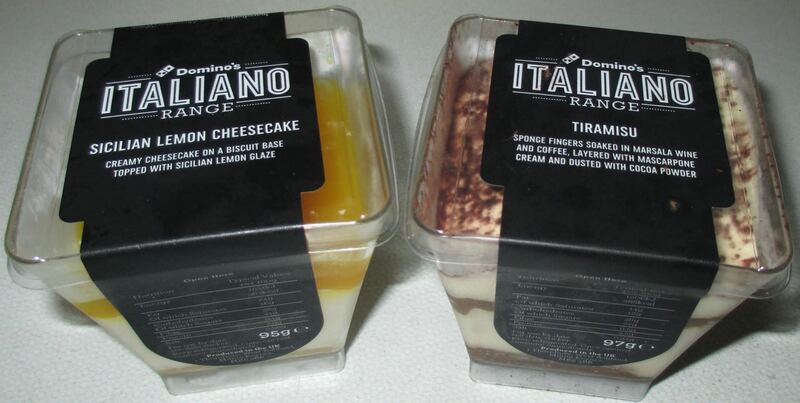 We decide to give it a go and also chose their new Italian style desserts as I have a bit of a weakness for Tiramisu. 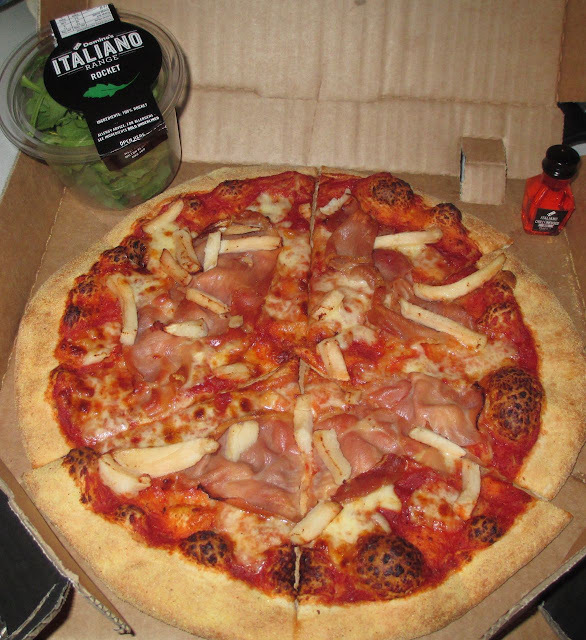 The pizza came topped with chicken and prosciutto, and had a side portion of rocket and chilli oil to sprinkle on top. The base of this new pizza is much thinner than our usual, and is crispy in texture, this made it good for dipping in sauce. The chicken and prosciutto were lovely, in particular the meat in the prosciutto was delicate, tasty and added a little bit of salt. Weirdly the star of the show was the rocket leaves, they were spicy and tangy and went so well with the other flavours. 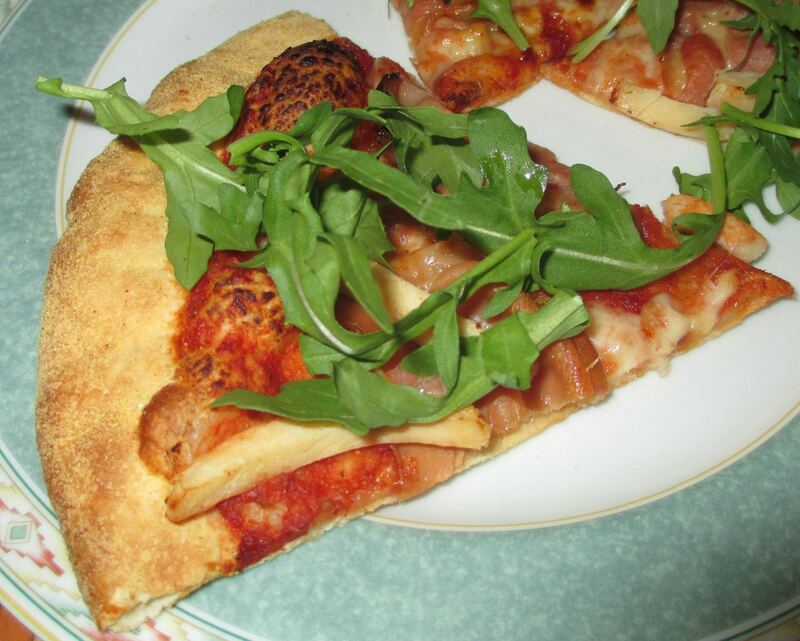 I was very impressed with the Italian Verona pizza and do look forward to having it again. Firstly take a look at the screenshot of the online menu. I have to admit to being disappointed with the look of the dessert. The menu we had in the post made this look like we'd receive a proper slice of Tiramisu as you would in an Italian restaurant. 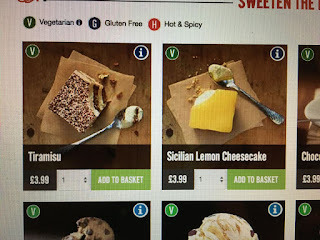 What arrived was very similar to what I'd order online on my supermarket order, which would normally cost me around £1.50 for two desserts. This was £3.99 for one, which felt quite hefty. 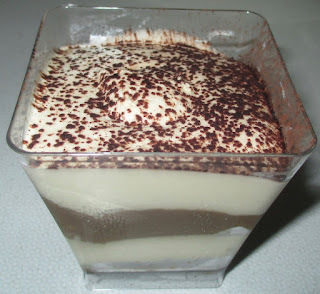 The dessert was very nice, the mascarpone layer was very tasty, quite thick but very creamy. The sponge fingers were so heavily soaked in their Marsala sauce they were almost fudge like in texture, they were heavy and over moist. I quite liked this, but it wasn't like any Tiramisu I'd had before. 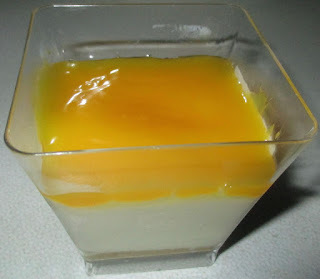 The Lemon Cheese looked the same, it was again just in a pot, rather than a piece of cake. Although I didn't taste it, I was informed that it was very tasty and zingy. The biscuit was over pressed though, so much so that trying to get it out of the pot involved some light chiselling with the spoon. I think the desserts weren't what I was expecting, I wanted an actual piece of Tiramisu and a proper slice of cheesecake, although they were tasty, they worked expensive for what they were. The Verona pizza on the other hand was a complete success, the Italian meat, chilli oil and rocket hit the spot, and we are looking forward to ordering one of these again soon.